Coodes Solicitors / Blog / Terminating a supplier contract: are you sure there’s been a breach? Many business owners assume that it is easy to terminate a supplier contract if things do not go to plan. Sonya Bassett, Partner and Head of Corporate and Commercial at Coodes Solicitors, explains it is not always as straightforward as it seems and advises businesses to tread carefully. Many business owners believe that, if they feel a supplier has failed to fulfil a contract, it will be quick and easy to terminate the relationship. They can be shocked to discover that it is often complex and can be extremely costly if you get it wrong. From time to time, businesses find themselves in the difficult position of having to terminate a contract with one of their suppliers. Perhaps one of the highest profile examples in recent months is when the NHS terminated its 17 contracts with Scottish firm Healthcare Environmental Services (HES) following damaging reports of tonnes of clinical waste being piled up at its sites. The company has recently ceased trading, after attempting to sue the NHS for £15million worth of damages, claiming it had been unfairly vilified. What constitutes a breach of contract? So, when can a business terminate for breach of contract? The key is to determine whether a breach entitles you to terminate the relationship and that comes down to the nature of the breach and the details in the contract. Broadly speaking, there are two types of breach. The first is a serious breach, which in legal terms is referred to as a repudiatory breach. Businesses have a common law right to terminate a contract in the event of a serious breach from a supplier. The second is an anticipatory breach, which occurs before performance of the contract is due. In this instance, the supplier would have indicated that it is unable to fulfil some or all of the obligations of the contract. What is a repudiatory breach? If you can prove that your supplier has committed a repudiatory breach, you have the right to terminate the contract. However, you may choose to continue with the contract while notifying your supplier of their breach, if you feel that makes more commercial sense. In either event, you may be in a position to claim damages. However, if your supplier has carried out all of the above then this may constitute a repudiation. 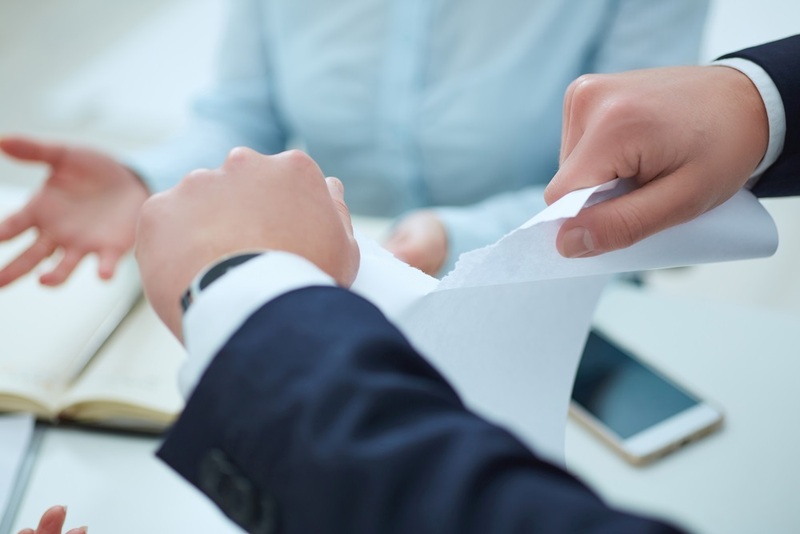 You may need to seek expert legal advice to determine whether or not a serious breach has occurred and whether or not you are in a position to terminate the contract. It is important not to rush into a decision, so before taking action make sure you are confident that your supplier has committed a repudiatory breach. Can I claim damages for a repudiatory breach? In addition to terminating the contract, you may also wish to bring an action for breach of contract. In order to recover your losses you would need to show a court that the contract existed; that there was a breach of the terms of the contract and that you have suffered damage as a result (bearing in mind the duty to mitigate your losses). There is a limitation period of six years for breach of contract claims. To recover damages, you would need to instruct a lawyer to act on your behalf. They will send a pre-action letter in the first instance claiming the sums lost. Damages are claimed in order to put you in the position you would have been had the contract been performed as agreed. There are two different types of damages, general (unquantifiable losses) and special damages (loss of profits and other losses that can be quantifiable). Your contract may make provision for entitlement to liquidated damages which would enable you to recover a predetermined amount should a breach occur. What is classed as an anticipatory breach? An anticipatory breach is when it becomes clear that your supplier is not going to fulfil its contractual obligations, ahead of the planned end of the contract. This may be because they become unable to carry out some or all of the work outlined in the contract. Again, the definition is more complex than it first appears. If, for example, your supplier intends to carry out some but not all of its contractual obligations, this may not in fact be deemed sufficiently serious to constitute an anticipatory breach. If you have shown that your supplier has committed an anticipatory breach, and legal advice can help determine this, then you have a number of options. Depending on the nature of the anticipatory breach, you may be in a position to immediately terminate the contract. However, another option is to wait until the date for performance has passed, so that the breach then becomes repudiatory giving you the right to terminate the contract. Can a contract cover a business for different types of breaches? A good supplier contract will be bespoke, fitting with the needs of the business. It should reflect your activities and the work your supplier is carrying out. This will help ensure you are in a position to terminate a contract in the event of the types of breach that you feel are most likely to affect you. This could, for example, cover insolvency or any issue that is especially relevant to your business and the nature of your supplier’s work. Having your contracts carefully drafted by a specialist corporate and commercial lawyer is the key. The best way to avoid difficulties in terminating a breach with a supplier is to ensure the contract is adequately drafted in the first place. However, even with the best contract, things can go wrong, so be prepared to seek legal advice if you find yourself in the position of wanting to terminate a supplier contract.